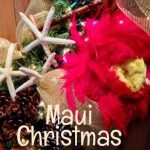 It’s difficult to image any one day being better than the next on Maui, already the world’s top tourist destination, but a case can be made for December 31, when our island paradise becomes a hub of activity and entertainment in anticipation of the New Year. If you’re staying with us at The Gardens at West Maui as we bid farewell to 2018, you’ll have an abundance of ways to welcome in 2019, from New Year’s Eve luaus, dinner cruises and of course the midnight fireworks show from the barge near Front Street between the Four Seasons and Grand Wailea Hotels. The grand display lights up the night sky with wondrous and colorful bursts over the water near Wailea Beach in south Maui. You are advised to arrive early to secure a prime spot on the sand. Fun for the whole family, this New Year’s Eve event is more of a show than a party. This special late-night luau, performed by Lahaina’s Drums of the Pacific luau group, will keep the keiki and adults entertained. Party hats, sparkling wine and an upgraded buffet menu make this event feel more glamorous than the average luau, and the show runs later at night, from 9 p.m. to midnight. $135 general seating, $74 for children, 200 Nohea Kai Drive, Lahaina, drumsofthepacificmaui.com/holiday-reservation/. The only thing you need to get into Down the Hatch, which hosts one of Maui’s biggest New Year’s Eve parties, is its secret password, which can only be found after solving this riddle. This hidden speakeasy is the place to be when the clock strikes midnight, with its two-bar setup, bubble drop, champagne toast and live entertainment. $30 VIP tickets (which includes the secret password), 658 Front St. #102, Lahaina, dthmaui.com/events/new-years-eve. Say bon voyage to 2018 on this fun and festive starlight cruise. Grab a seat on deck to get an exclusive makai (ocean) view of West Maui’s fireworks show while enjoying complimentary alcoholic beverages onboard, such as Maui Brewing Co. beer, tropical cocktails and champagne. $135 general admission, $95 for children, check in at the Pacific Whale Foundation Ocean Store, 612 Front St., Lahaina, pacificwhale.org/cruises/maui-holiday-cruises/new-years-eve-cocktail. Alii Nui’s has an adults-only New Year’s Eve fireworks cruise with food and drink. It’s pricy at $299 per person, but it does include transportation from most hotels to and from the cruise harbor, which is very convenient for this holiday. Please click here for a comprehensive guide to New Year’s Eve activities and events on Maui. We wish you all a “Hau’oli Makahiki Hou” and hope to see you in 2019! 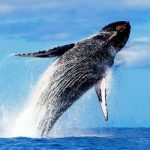 It’s Maui Whale Festival 2019!